We'd love to hear about your experience with Shaul's Manufacturing. To send us your comments and photos, click on the button below. 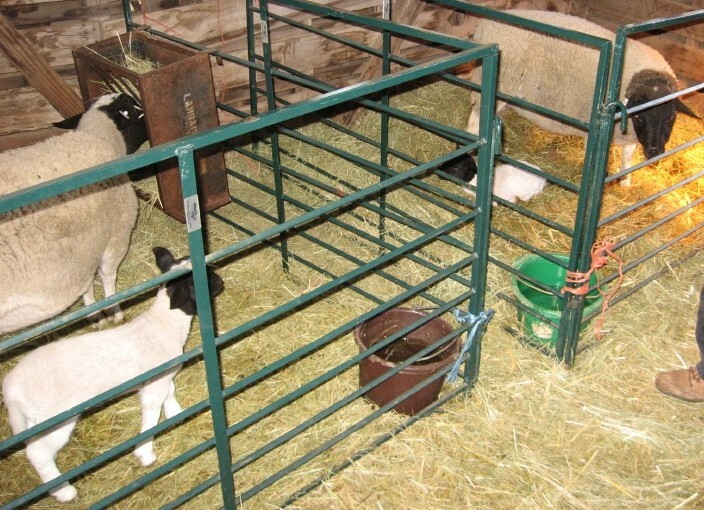 "Finally got my new lambing/kidding barn up and the panels have made a great nursery. Now that things are finally coming together I have found I need a couple 'custom' panels to finish off things." 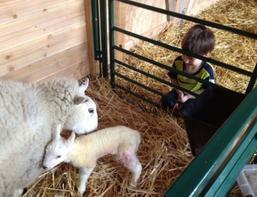 "Here is our first born Lamb. 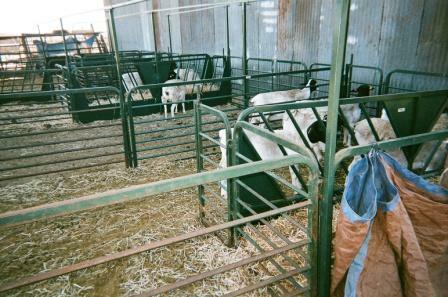 She wandered into one of the birthing pens made from your equipment. 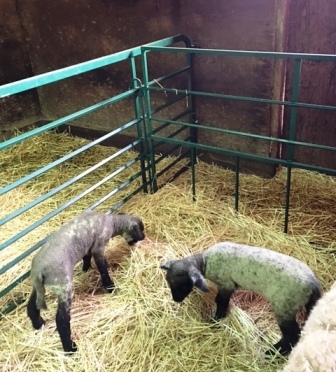 The pen is now occupied with a Ewe & her newly born Lamb." 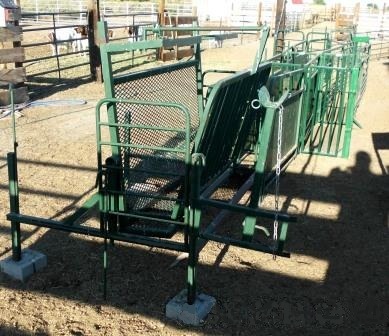 "...we appreciate and respect the high quality animal equipment you produce...and thank you for the impressive and delightful combination of professionalism and humor that you bring to your business and your customer relations!" 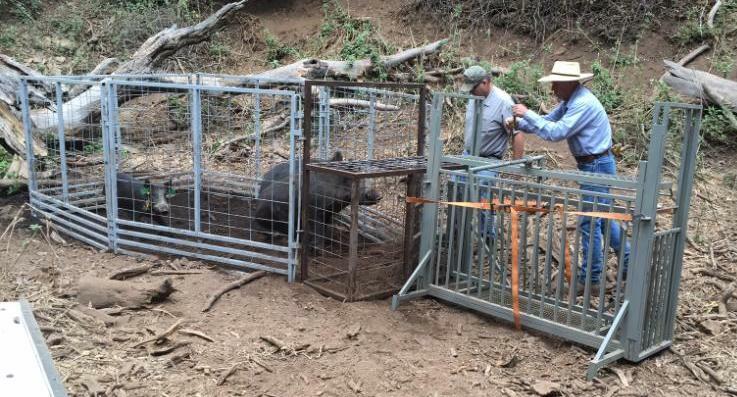 "The squeeze chute works wonders...why didn't we do it sooner??" "I LOVE your products! The are working out just wonderfully. 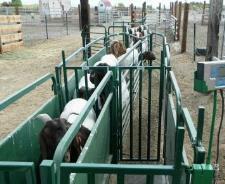 Thanks again" ~ Kathleen G.
Our goats have found a new use for the stand. 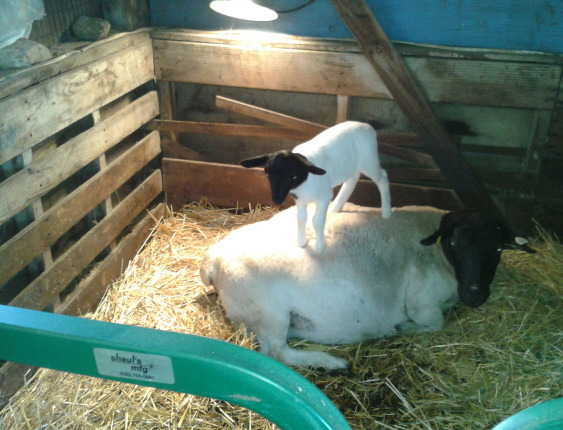 It makes a great napping place. u Roberta B. - Calif.
"The panels I bought from you last year - "Hold up Great!!!!". 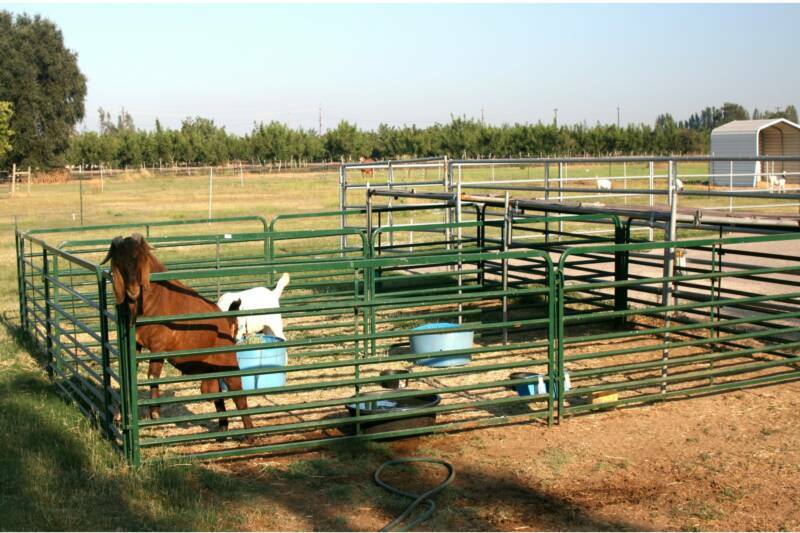 My horses & sheep are brutal on panels, not a single weld break nor a bend!" ~ Rhonda R.
"Here is my new gate in place. You can see it is just a perfect fit. 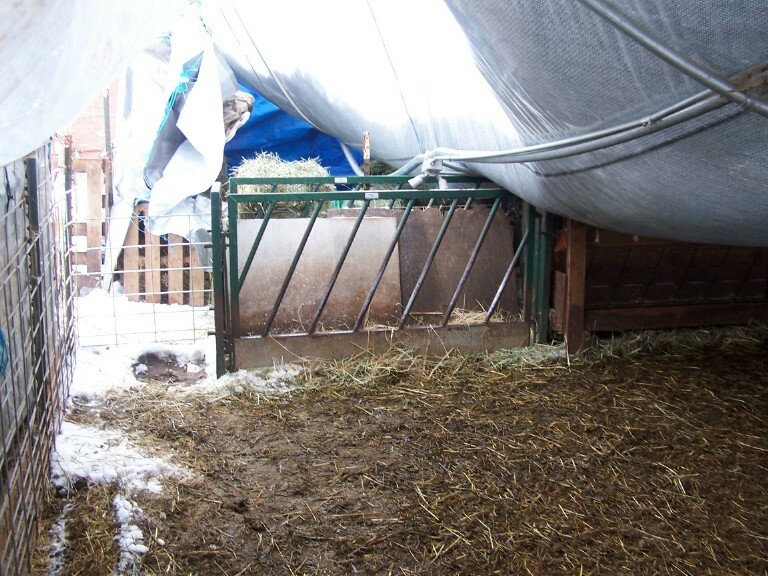 This way when I am not feeding or using one of the small pens, I can open the green gate and the ewes can use the space behind it and the two little pens. I am thrilled." "I’ve had it up for a few weeks. 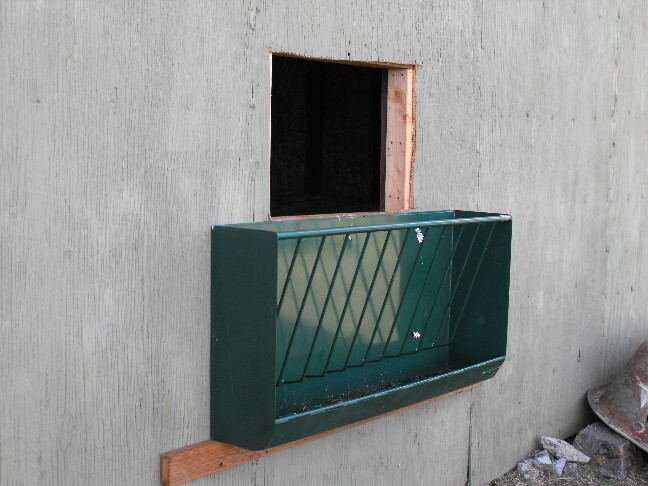 This is great and will allow us to feed in winter without going out in the field and just pilling it up. 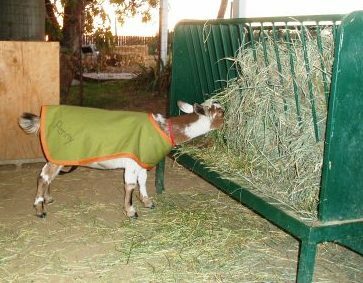 Thanks,"
"I bought four feeders last year from you for my goats. They are wonderful, I'm so happy with them. 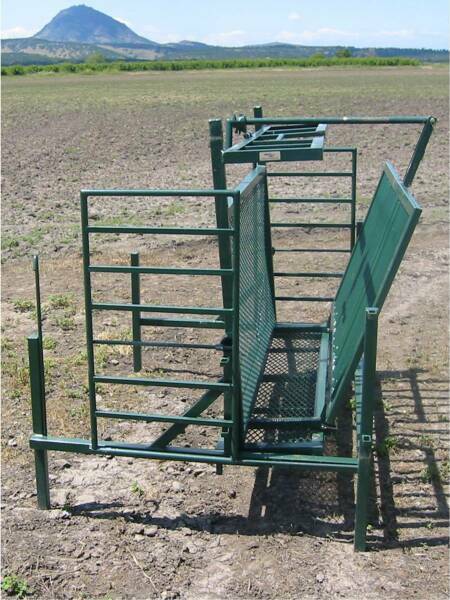 ~ Allan L.
"Just a quick note to say thank you for the excellent job of designing and building the best sheep handling equipment that I have used. Yesterday I worked over 425 head with the help of one person feeding sheep down the alley. 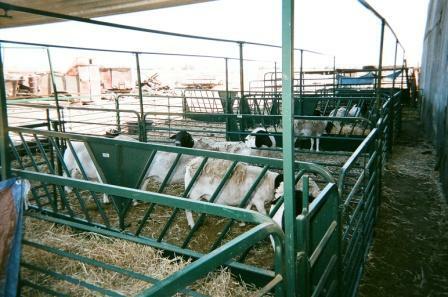 Of that 175 head were ewes requiring their annual hoof trimming. 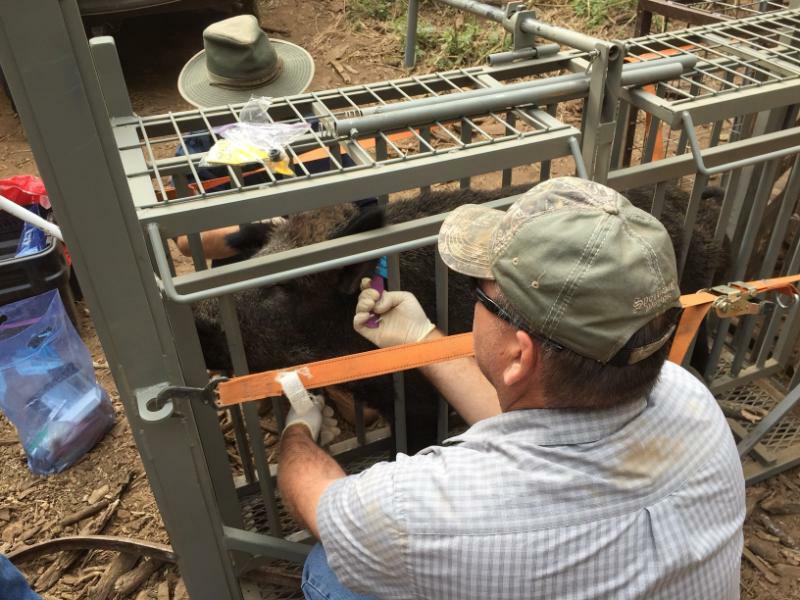 I performed the hoof trimming, vaccinating and drenching along with running the tilt table and drop gate and sorting gate. We accomplished this in 7 hours. Your equipment worked well and was gentle on the sheep. Thanks for the great equipment." ​~ Randy H. ~ Mabton, WA. I wanted to let you know how pleased I am with the custom panels you made me last year. We have a 12x16 noble barn, I was able to take 3 of you panels and make 3 kidding pens. It worked out great last year and it is working great this year as well. I am planning on expanding so I am sure to purchase more equipment from you in the upcoming future. Thank you! 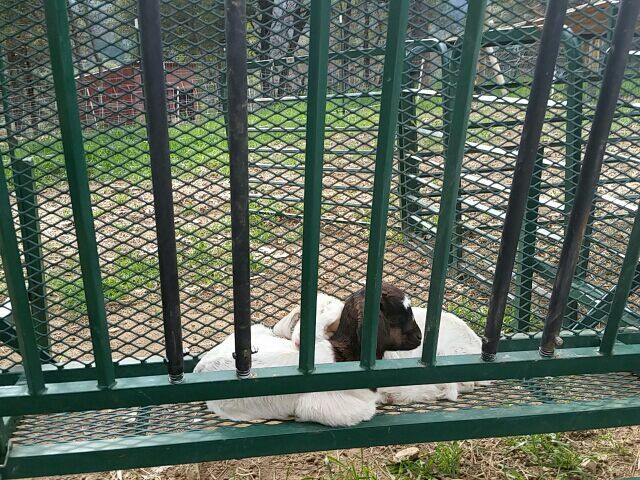 As a new Boer Goat Breeder I greatly appreciate the knowledge you pass on to us. The equipment you recommended & supplied us, set us up for success. You took the guess work away & allowed us to feel confident & secure in our decisions. 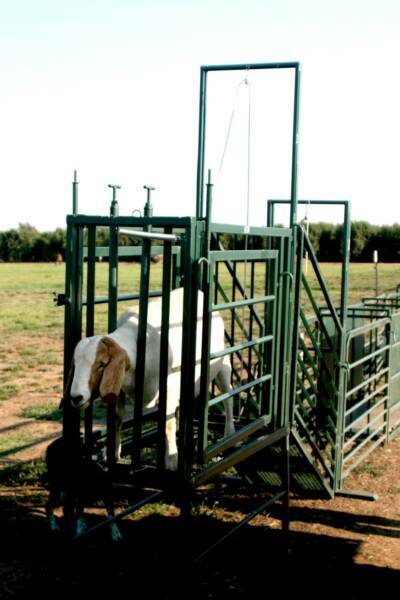 It's very apparent you take both the owner and animal in mind when building your equipment. We are thankful for the relationship we have been able to establish with you & look forward to many more years as your customer. See what our customers have to say about us and our products. Seriously I could not take care of this many sheep by myself without your equipment and you can quote me on that!! 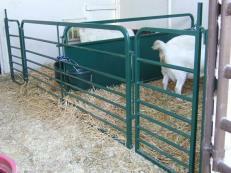 Here we are at "The Gathering" of Soay Sheep Breeders and there are your panels and feeders. Wow! I needed some customizing done to the equipment I needed and take a look what the Shaul's did for me. Took a bit of tweaking here and there, but boy does it work. The Shaul's are easy to work with and listen to what you have to say. Their product is well made, extremely functional and so very easy to use. The best part is that if you have a suggestion or an idea you think will improve an item, they really want to know about it. ~ Elayne Tingey - Idaho. 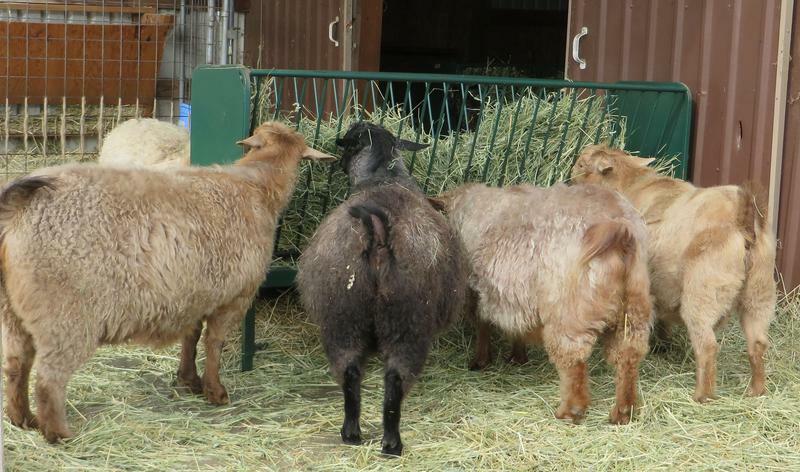 our Nigerian Dwarf dairy goats and we waste much less hay now. keep asking where we got it! "great panel, just can't get out!" ~ Penny & Dan Lambach - Quincy, Calif.
~ Janya V - Duval, Wa. 2000 lb!​ And those are the light weight panels!!! We love our panels! 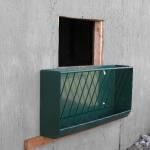 The gate latches are so clever & I love how strong the bars are, I can climb over if need be. The panels make the barn so functional and I'm so glad we found Shaul's to make us exactly what we need! 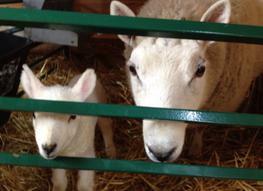 I've included some pics of this year's first lamb in our beautiful lambing pens. We'll be back for more panels. I wanted to thank you again for your willingness to work our custom squeeze order into your busy schedule. "It's strong enough to hold a wild pig!" ​ ~ Shannon - U.S.D.A. “I’ve tried lots of feeders for my Pygora. 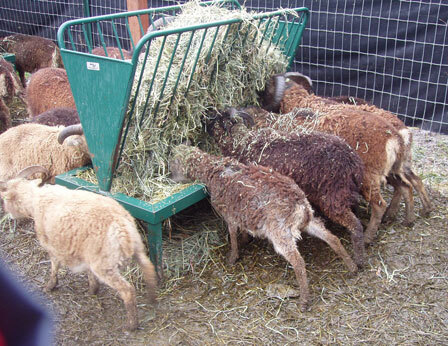 They either allowed the goats to pull big flakes of hay out on the floor to became wasted or the hay falls into the goats’ fleece, which was a nightmare to remove. To top it off, my big wether, Toby, learned to pull hay out of the tops of the open feeders. 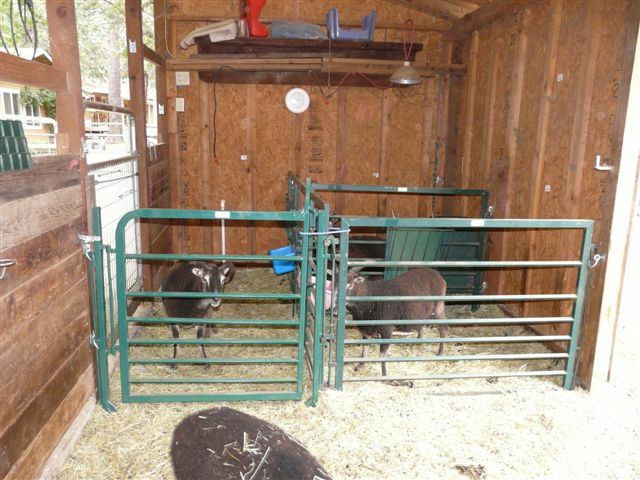 Wanted to let you know how awesome the creep panel and gate worked out - put them in the sheep barn yesterday and they are doing the job. Great work, thank you so much! I had two problems when I contacted Bill & Susan. 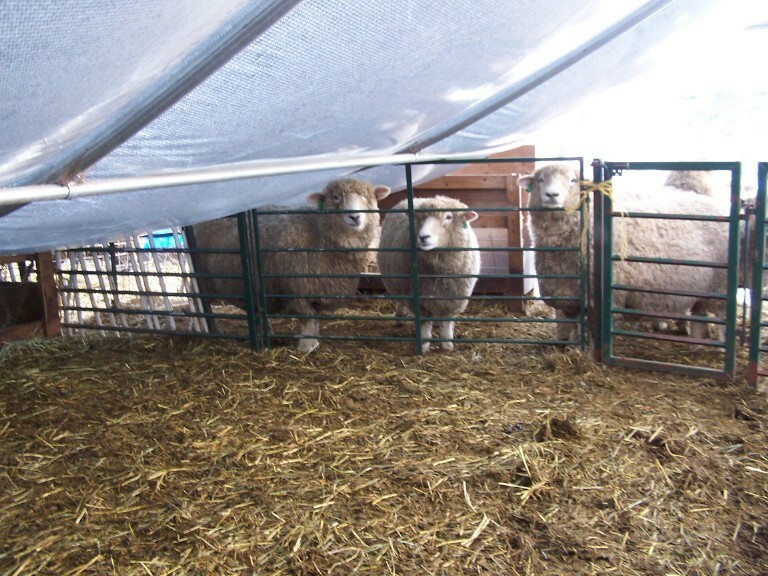 I needed shade for my sheep and a diverse changeable feeding area; I also had building constraints. Explaining to Bill & Susan what I wanted, we worked out an extremely versatile and movable system perfect for my needs. 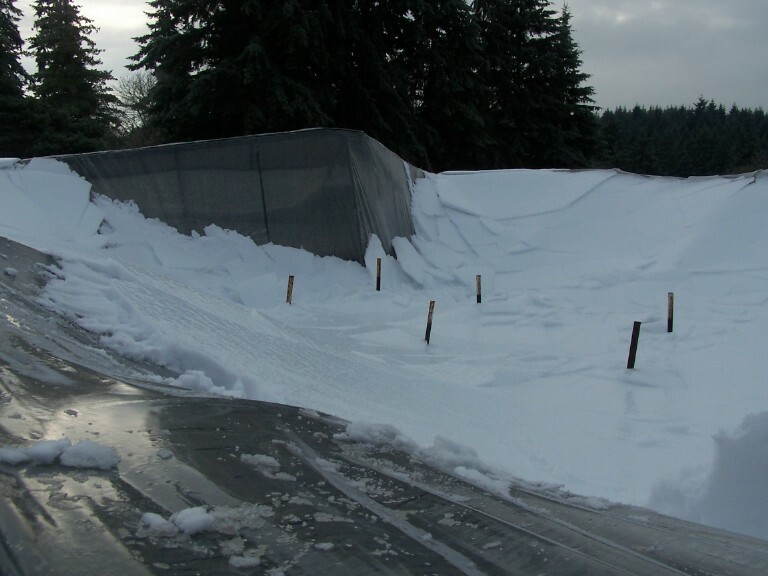 Sorry, the shades tarps are off in these pictures, but they are so easy to put up. The Shaul's are the best. ~ Cindy M. - Dixon, Calif. Squeeze and run in use. ​ Hi Susan. 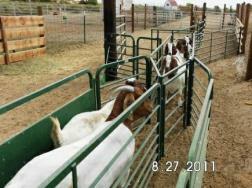 Here's some pictures of our ranch & sheep using all your equipment. 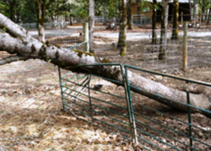 We couldn't do what we do without all your fencing, gates, blind alleys, chariot, squeeze spin shoot & the scale. It sure makes life so much easier.! Look at our boys on the chariot! 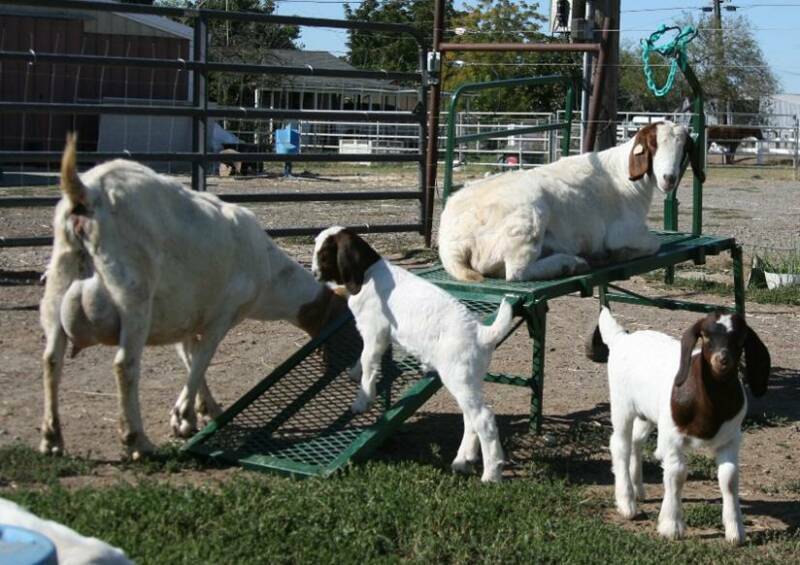 Raising Fullblood herds of Boer, Kiko, Nubian goats, and percentage kids of the 3 breeds; all tested and negative for CAE, CL, and Johne's. We also raise Maremma Sheepdogs and welcome visitors to the ranch. Thanks again Shaul's! Oh, our barn is up, so hopefully we'll be putting a panel order in soon! See, the squeeze does fits every size! barn to the Happy Barn!!! Looking forward to seeing you in Chico in a few months!! ​ Hi Susan, the new barn is done. Thank you! 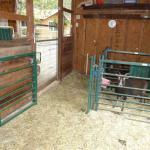 Here are a few photos of the pig barn. We are really enjoying the panels and have had a ton of compliments! Our grand-daughter bred 6 of her ewes. 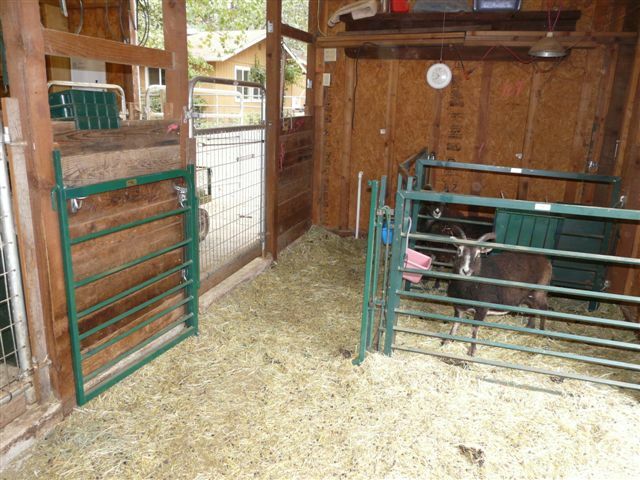 We set up the "horse barn" custom stalls and moved two moms in there. 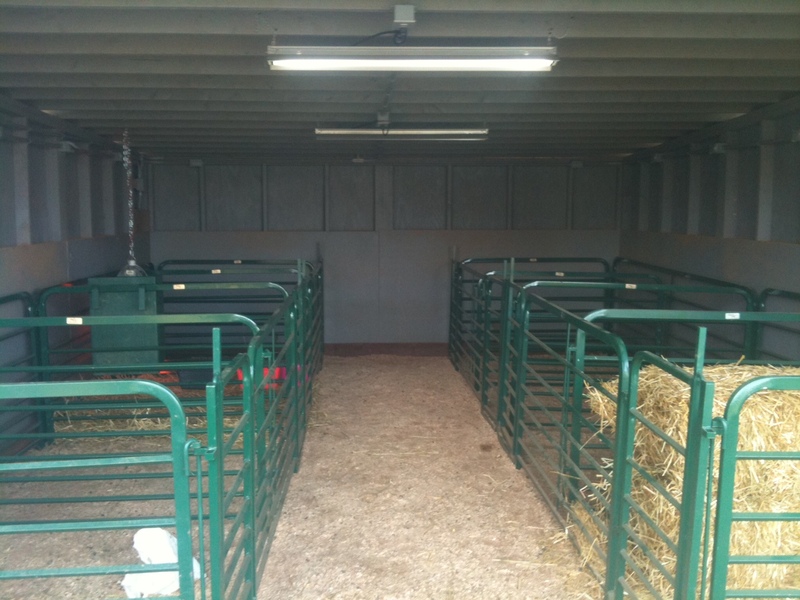 We also set up the custom stalls in the sheep barn and moved 4 ewes there. Then the wait began. ​We have 17 babies in all. 1 single, 2 sets of twins, 1 set of triplets, 1 set of quadruplets, and believe it or not, a mom with quintuplets! Thank goodness we had our Shaul's pens set up. Really appreciate the quality of your work! 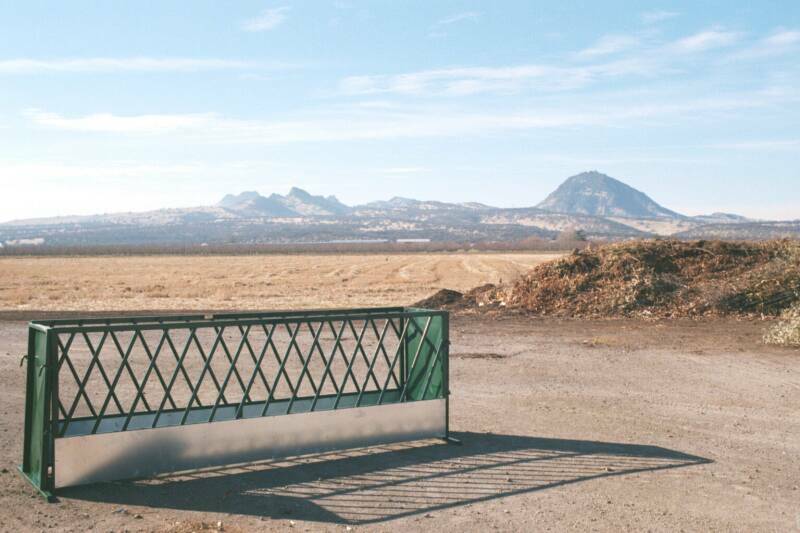 Thank you again - the creep panels & custom made stalls keep everybody safe and secure.